It’s time of that year again folks and if you’re just hearing or reading about this, it’s too late. 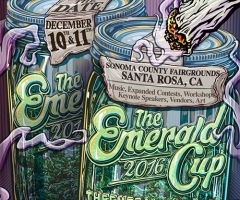 The 2013 Annual Emerald Cup, which is the world’s only outdoor competition that showcases the finest Northern California cannabis and cannabis related products, just took place the weekend of December 14-15, 2013 at the Sonoma County Fairgrounds in Santa Rosa, California. 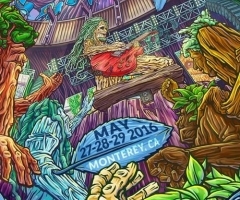 Year after year, The Emerald Cup attracts thousands of visitors, growers, scientists, and activists nationwide with numbers growing exponentially from 1,500 in the year 2012 to roughly 4,500 visitors over this past weekend. Visitors gathered at the indoor/outdoor event to enjoy and celebrate the Fall harvest, browse through thousands of accessories, apparel, arts and crafts, and best of all the music. Growers also were in attendance to learn about different techniques, browse new cultivation appliances and equipment. The Emerald Cup in past years were typically held way north in Humboldt County within the “Emerald Triangle”, a region in Northern California known for the largest and finest cannabis crops which include Mendocino, Humboldt, and Trinity Counties. An event move from Humboldt County to Sonoma angered some people, but only made sense due to more accessibility to Bay Area audiences. An octagon shaped glass housing sitting near the rear end of the venue, surrounded by a velvet rope, showcased roughly 260 flower entries for the chance to win an all expense paid two week vacation to a cannabis friendly resort in Jamaica, and of course bragging rights for the year. Top Shelf Reggae got the chance to… um… cover the event, and was actually pleasantly surprised at how many people were there just to get a chance to see their favorite musicians perform. 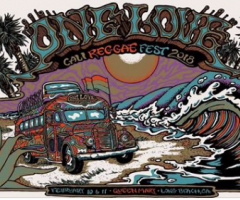 The reggae lineup Saturday evening could not have been better. The evening started off with Thrive, followed by J Boog, and Rebelution as headliners. Reggae music and marijuana use go far back to a Rastafarian practices where the use of the flower was said to bring people closer to God’s testimony. The pioneers of reggae music were predominantly Rastafari, and smoking marijuana was an important aspect of their practice. 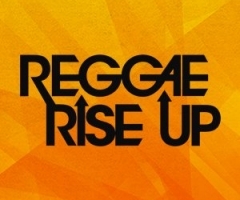 There was, and still is, an interconnection between reggae music and Rastafari, however not all Rastafarians promote the use of marijuana. All in all, the event was a huge success and we can almost guarantee that a 2014 Emerald Cup is already in the works.